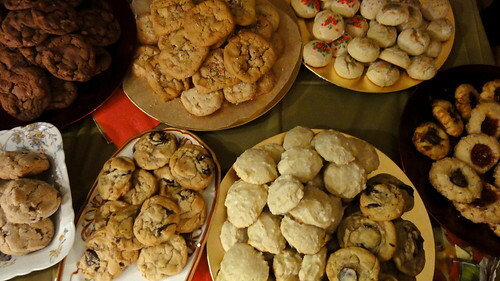 I have baked and eaten A LOT of cookies over the last two weeks. In addition to all of the indulgences that normally go with this time of year, I participated in two cookie exchanges last week – one with my class and one with my book club. 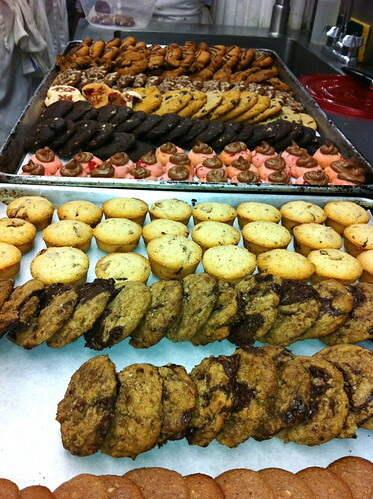 My class's cookies, pic courtesy of my friend Leticia. If you’ve been wishing for a group of x-mas elves to help you create a plethora of holiday goodies, this is the next best thing. The way a cookie exchange works is that each participant bakes a batch of cookies, then all of the cookies are pooled together and redistributed so that everyone gets to take home a wonderful assortment of homemade treats. It’s so much fun to see all the different things that your friends have baked, and then you have a variety of delicious baked goods to enjoy and to offer guests that might drop by. 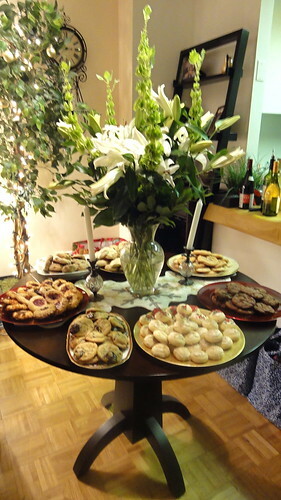 My book club had a party to exchange our cookies, and then later that week I served the cookies to visiting friends. Basically, this practice creates a chain of deliciousness and happy memories. I thought I’d pass on a little of this holiday decadence through these pictures, on this Christmas day when I am feeling so lucky and thankful for all of the wonderful people in my life -- my family and friends, including all of those that baked and ate these cookies. 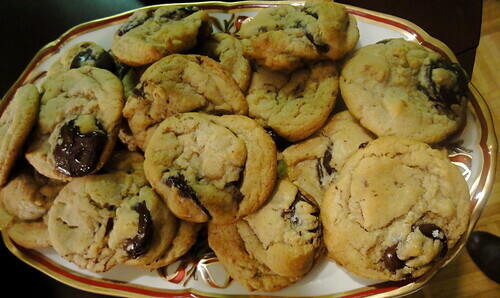 Click here for the recipe for my chocolate chip cookies. They're awesome.